The DNA-In® CRISPR is a transfection reagent that simplifies and accelerates genome editing using large plasmids and difficult-to-transfect cells for life science researchers who are generating disease models. Using this approach, researchers can easily generate disease-relevant isogenic models to determine the impact of correcting or introducing disease-relevant mutations on cellular phenotypes in a tissue-appropriate context. However, problems have remained with certain cell types that are more resistant to transfection and for larger plasmids. 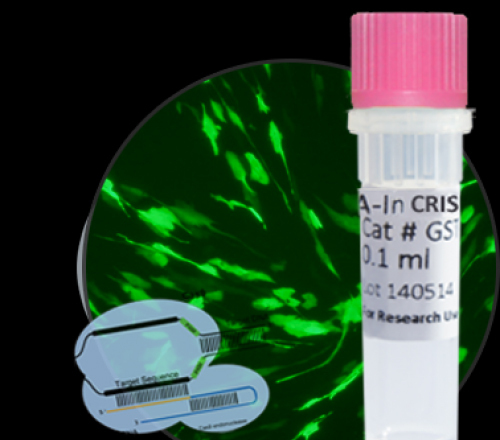 DNA-In CRISPR has been specially formulated to enable highly efficient transfection of large plasmids (containing CAS9, guide-RNAs, and reporter cassettes) particularly when using hard-to-transfect cell types. The reagent is fully chemically defined and animal component–free, leading to increased reliability and low cell toxicity, making it ideal for use in pre-clinical investigations.